Wanting a day for both of us to kick back without driving and get a decent orientation of the area, day two is spent in the good company of Harvest Tours. We are collected from our chalet by Jamie, co-owner, tour host and son of a local dairy farmer. Knowing that Harvest Tours is family-owned, devoted to personal attention and devoid of big tour company hustle, we’ve booked the wine tour for foodies – encouragingly affordable and great value. After collecting 2 other couples, we start at Adinfern wine estate, just south of Cowaramup (which oddly is named after a bird, not a cow). Here we are introduced to the craft, passion and challenges of the winemaker before supping the results – with some gentle guidance on the art of wine-tasting sans the snobbery. 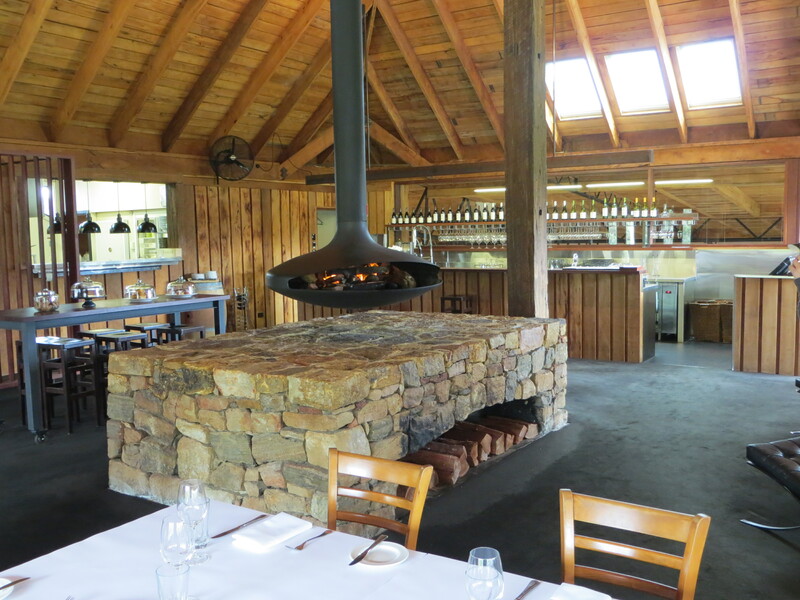 Next we head into Cowaramup for delightful delicacies made by the resident Italian chef at Margaret Riviera. Here you can sample home-made pesto, dukkah, flavoured oils and stock up for those evening platters in front of the fire. 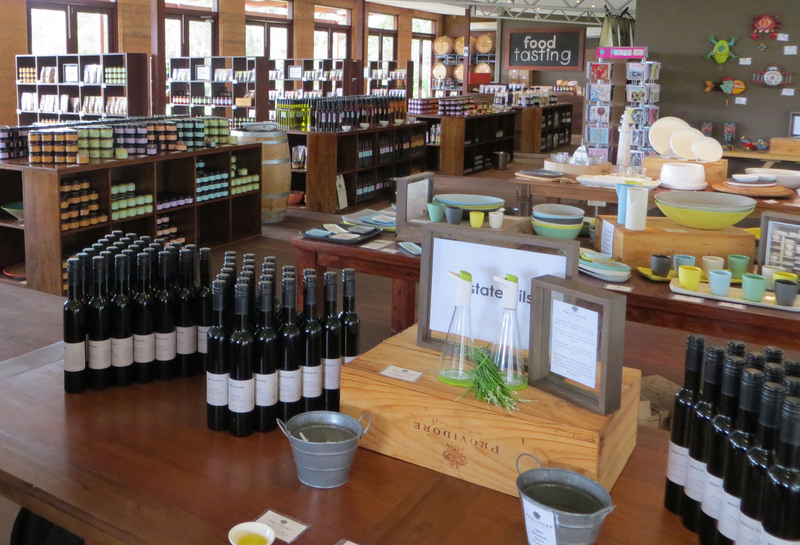 Directly next door is a gorgeous gift shop and across the road is a bottle store dedicated to the region’s wines. MR Providore is our next stop. My husband and I have this little joke. I’m irrevocably addicted to little jars – notably those filled with jams, salt rubs, nuts, tappenades, pickles, marinades, sauces … you get the picture. I have a pantry full of the little buggers. If we ever had a famine, we could live for months on them. Well, this is little jar (and big jar) heaven and my poor man has hardly finished groaning before I mentally clear out the first aisle. My picks – the lemon curd, shiraz sauce, Moroccan couscous and raspberry jus. Don’t worry – you can taste most of them first. His picks – dark chocolate liqueur and macchiato liqueur. Do not miss tasting these – even if you think they will be too sweet. For those as useless at baking as I am, this is a great way to finish a dinner party. I’ve already done it and will be ordering cases of the stuff for Christmas gifts. Appetites armed, we’re off to Vasse Felix for more wine tasting and lunch. This is the first (and only) Sauvignon Blanc Semillon that I enjoyed. I’m sure there are some exceptional varieties around, but I’m not a Semillon fan and Vasse Felix has got this blend to perfection for my palate. Probably as much to do with the subtle oaking to add a touch of spice and tannin as a deft hand. The Chardonnay is everything you’d expect from the exceptional care taken to produce a wine with very satisfying texture and depth but remarkable purity. 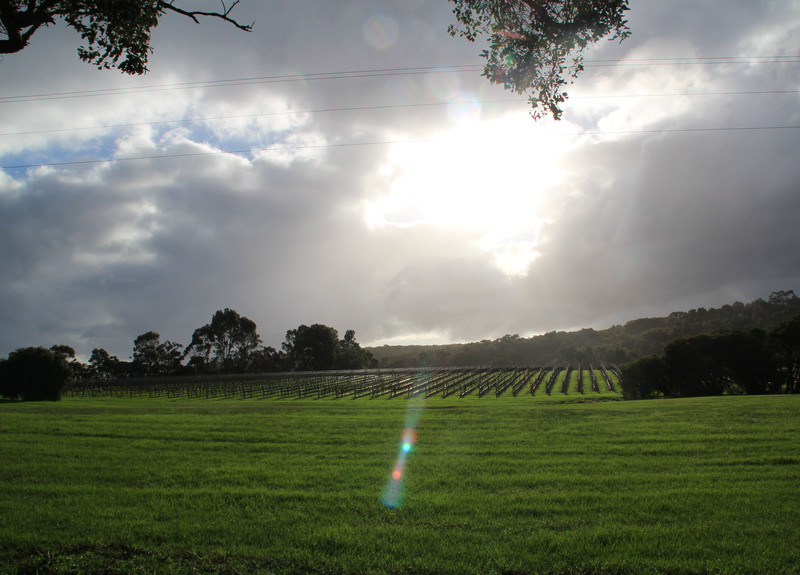 You could stop there and you wouldn’t be disappointed, but don’t miss the chance to taste the Heytesbury Chardonnay, especially if you can get the 2010 vintage. This one snagged 12 gold awards for good reason. For an everyday ready-to-drink-now red the classic dry is entirely quaffable. For winter perfection and with one of those delicious venison racks I mentioned earlier, try the Shiraz. Very different to a Barossa Shiraz, with more white pepper than black but a gorgeous hit of spice and a hint of jasmine, vanilla and coffee. The Cab Sav is outstanding too, but I must stop or risk sounding like they’re paying me to write this (which they’re not). 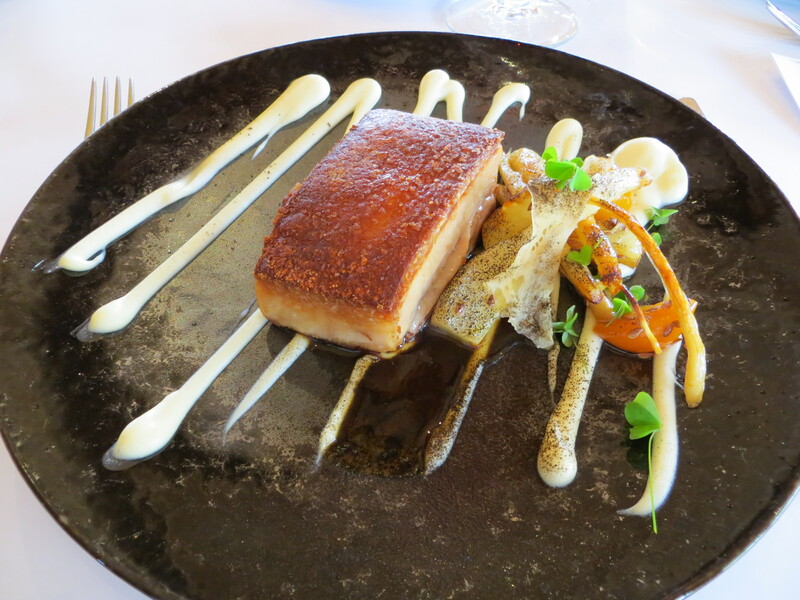 Vasse Felix has a warm , inviting cellar door and this theme is carried through to the restaurant. Situated upstairs the view of the luscious grounds and the creek is a perfect backdrop to the stone and wood interior kept toasty with an impressive hearth. The food is hearty too. The lamb shanks are substantial though a little lacklustre, but the pork belly is outstanding. Nothing better after a little (or big) lunch than a little chocolate. Especially when it’s dark, organic, freshly crushed and tempered from the best cocoa beans in the world. I’ve been to Belgium. I’ve gorged on Belgians chocolate made by boutique chocolatiers in Brugge and Brussels. Until now, I would have bet anything that you’d not find better chocolate in the world. And forgive me, but at the very least I would not have expected to find it in Australia. Aptly named after an angel (and my grandmother), Gabriel chocolate is – pardon the pun – heavenly. Well fed and bouncing off the walls from our sugar hit, we brave the hammering rain and puddle-hop into Windows Estate. It’s all about subtlety and finesse here. Our tasting comes with perfectly paired local cheeses and a lovely history of the winery. The basket pressed Cab Sav is gorgeously earthy, while the Chardonnay balances fresh citrus notes with a creamy nuttiness to perfection. 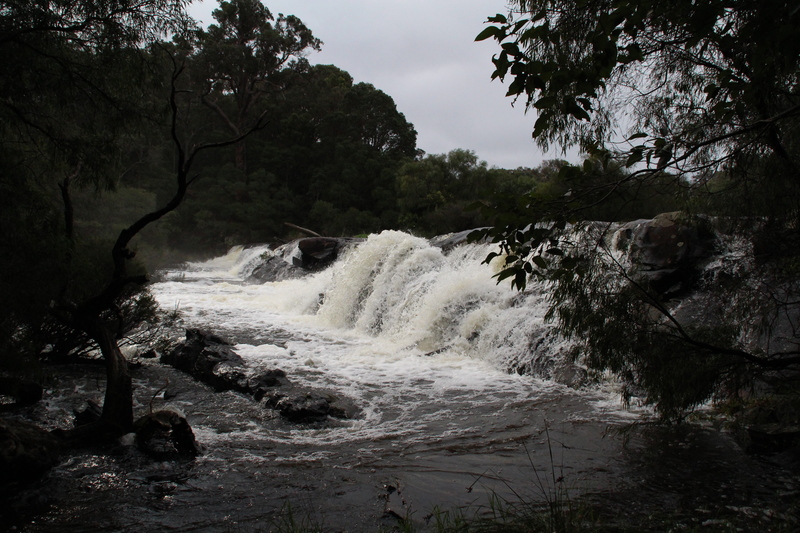 Surprisingly, after all this, we have time for a little detour en route to Yahava coffee; and Jamie takes us to an enchanting waterfall off Kevill Road. Worth the few minutes it will take you to get there off the main road. An idyllic day that you would think could get no better. Until we arrive back at our chalet and glimpse a woman walking by with a roo in tow. Thinking we’ve had too much wine we continue staring until curiosity gets the better of my husband and off he goes for a chat (as he does). 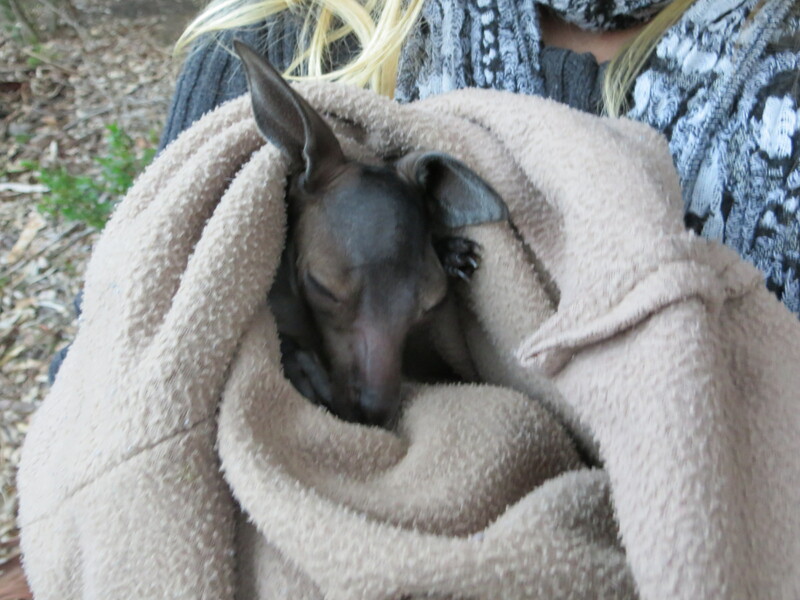 Turns out this dear lady is a roo rescuer and has a baby joey slung around her mid in a blanket. The roo following her is one she saved a couple of years ago and has not been able to release back into the wild. The little joey is only 6 weeks old and so needs 24/7 nurturing – for a total of six months. The world needs more people like this. And hats off to Willy Bay for offering their resort as a “soft-release” area for these bouncing beauties. Posted on September 16, 2013 by lynnewarren	• This entry was posted in Delicious Drops, Great Grub and tagged Australia, Chardonnay, Harvest Tours, Sémillon, Shiraz, Vasse Felix, Windows Estate, Wine tasting. Bookmark the permalink.